It was always my dream to have a Yorkshire Terrier and in 2006 it came true. I bought one year old girl - Kelly and quickly she became me belowed one. After many conversations with Kelly's breeder I went on my first dog show and Kelly got her first excellent grade. Now I know that with dog like Kelly I could have achieved more, but the beginning will always remain in my memory as something special. 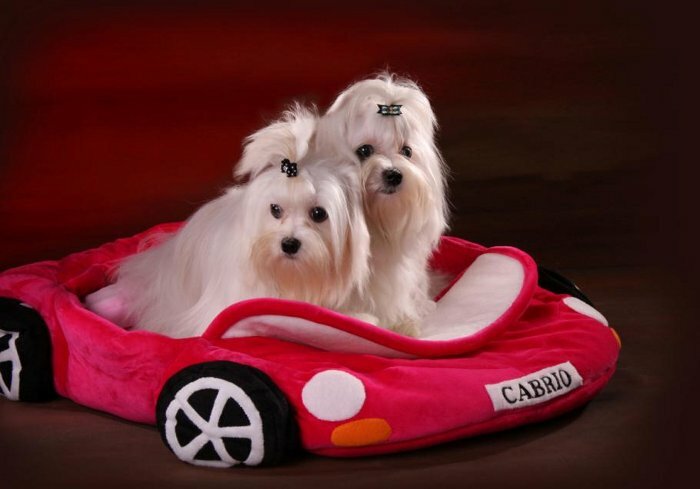 Being in love with Yorkshire Terrier race I started searching another family member and that is how my kennel raised. My dogs are with us every day, which is good for them: for their health and socialization of adult ones and puppies. I am in love with my dogs and I have great respect for them. My family is united thanks to them, we gather much more often now. Watching a movie becomes something special when a little creature lies next to you. People who don't have a dog will never understand it. Every decision I will make in the future will be thought through in order to create as perfect dog as there can be. You are most invited to share my kennel's life through this website, which will be frequently updated. Thank you for your time and I wish all the best. Copyright © 2019 - Z Śląskiego Radlina.